Here is thought, imagine using a sponge to apply your liquid foundation? Think about the bacteria build up on that sponge if you do not clean it and then re apply. There is no real benefit in using a sponge or makeup pad to apply your makeup. Brushes give a more flawless and smooth finish. You can pat the skin and blend with a brush to create a makeup finish that will last all day long. Brushes come in synthetic and natural hair so if you wash them once a month you wont have a build up of bacteria. They absorb less product than what a sponge would. Your saving product and $$$. If you want to know more, I provide makeup workshops or one on one lessons to teach you how to apply makeup the correct way. I also can give you some tips on where you can purchase cheap, professional brushes. 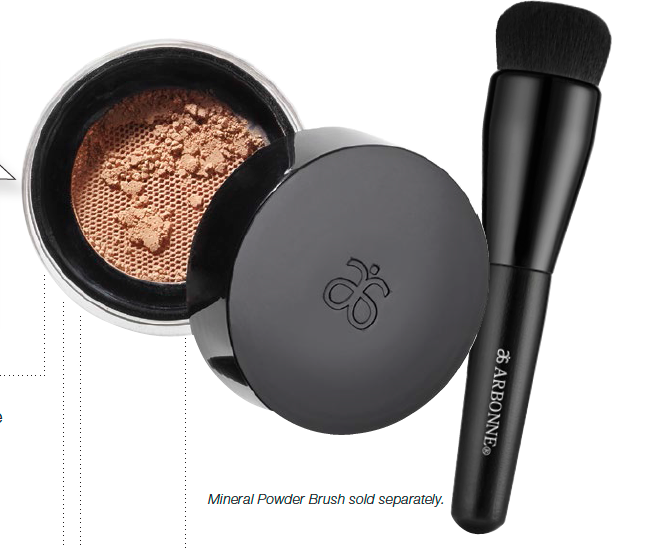 This is a new brush by Arbonne. It is Amazing!! I used it last week to apply my loose powder and I was surprised by the way the powder sat on my skin. It is like a buffer, smooth over brush that makes you look so flawless. Check out my Arbonne website to see more brushes. Please Contact me if you need any more info. ← Valentines day inspired photo shoot!